Living in the South means you will always have cornbread dressing at every holiday dinner. Of course you can make this dish any time you have a taste for dressing. The first time I had the pleasure of eating dressing was at my sister in law’s house. I got the general recipe from my Mother in law Farrie. When I would ask her how to make it, she would say: ” a lil of this and a lil of that” :). It took me some time to perfect it, to the way I make it today. Mix together, 2 2/3 cup milk, 4 cups self rising white corn meal, 1/2 cup oil, 1 egg. Heat oven to 450F, spray 2 pans with some grease, put in the oven to heat the pan. then take out and add the corn mixture to the pan. Cook for 20 min. 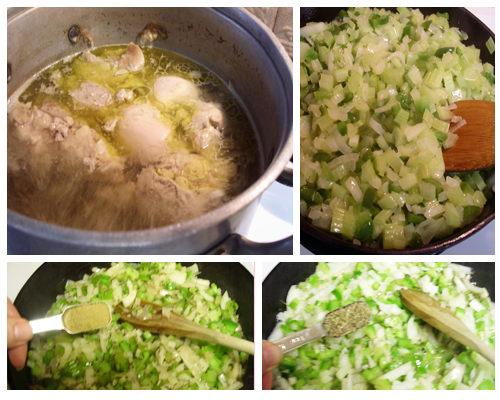 Put the boneless skinless chicken thighs in the pot add, a bouillon cube. Cut up the vegetables, add 1 stick of margarine to the skillet and add the vegetables, cook until the vegetables are wilted. Break up the cornbread, add 2 slices of white bread, torn. Add the vegetables, 5 tbsp. sage, the chicken broth of the boiled chicken, and the shredded chicken. 1/2 tsp salt, 1 tsp pepper. Mix it all up and cook in the oven @ 350F for about 1 hour. 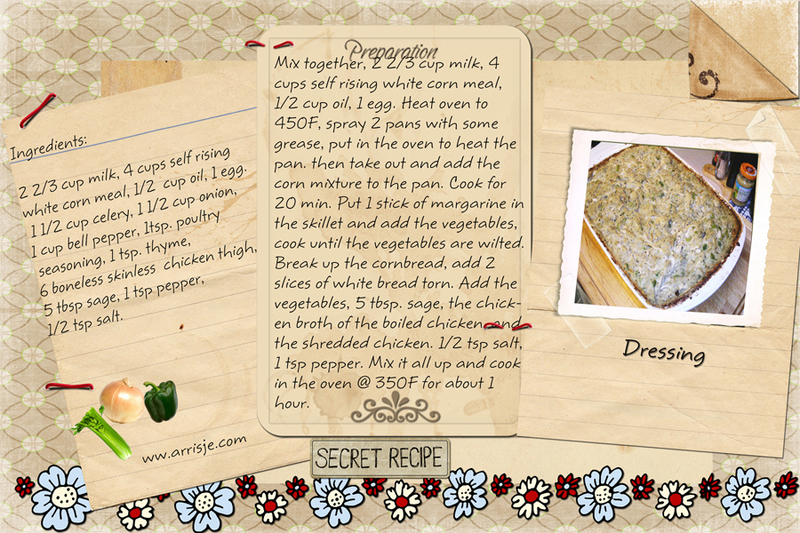 Living in the South means you will always have cornbread dressing at every holiday dinner. Of course you can make this dish any time you have a taste for dressing. The first time I had the pleasure of eating dressing was at my sister in law's house. 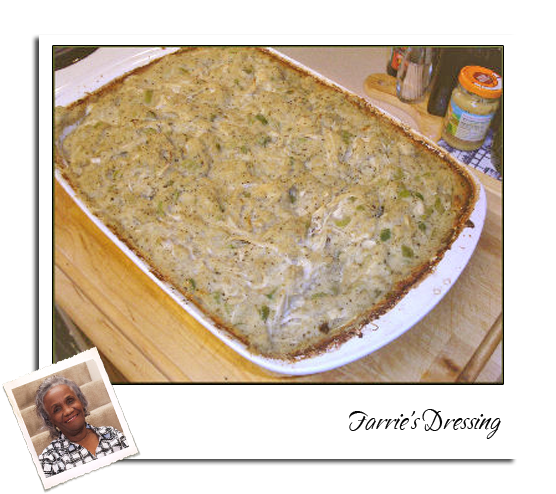 I got the general recipe from my Mother in law Farrie. When I would ask her how to make it, she would say: " a lil of this and a lil of that" :). It took me some time to perfect it, to the way I make it today. 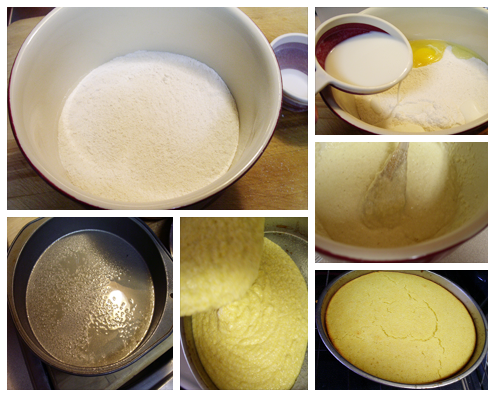 Mix together, 2⅔ cup milk, 4 cups self rising white corn meal, ½ cup oil, 1 egg. Heat oven to 450F, spray 2 pans with some grease, put in the oven to heat the pan. then take out and add the corn mixture to the pan. Cook for 20 min. Break up the cornbread, add 2 slices of white bread, torn. Add the vegetables, 5 tbsp. sage, the chicken broth of the boiled chicken, and the shredded chicken. ½ tsp salt, 1 tsp pepper. 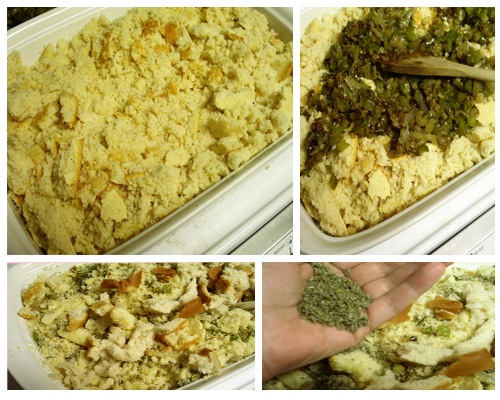 Mix it all up and cook in the oven @ 350F for about 1 hour.